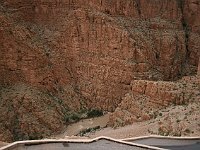 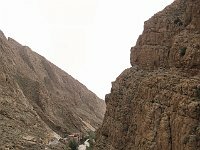 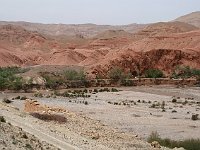 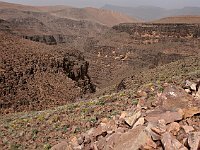 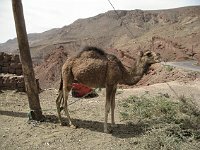 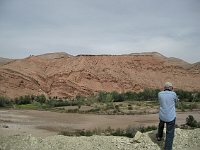 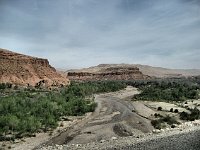 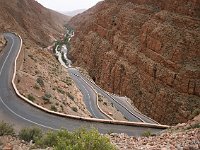 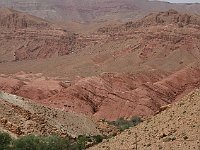 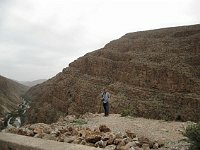 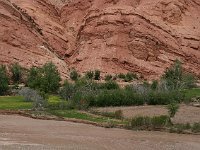 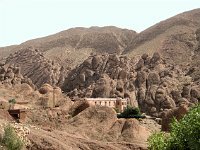 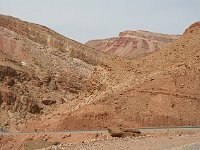 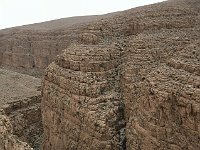 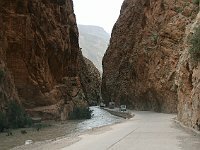 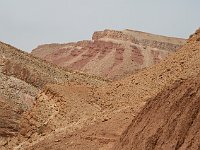 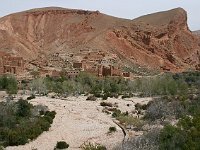 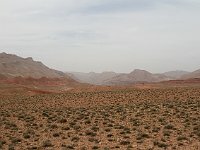 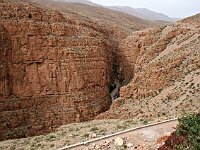 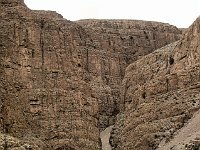 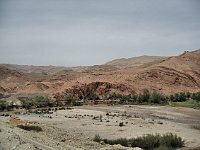 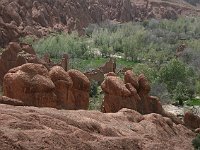 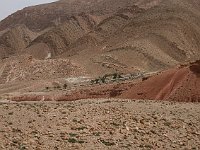 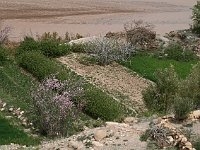 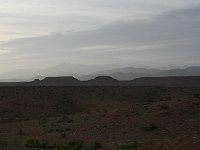 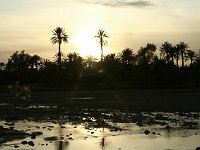 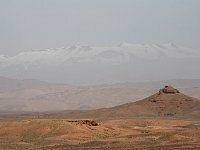 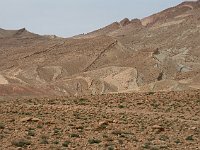 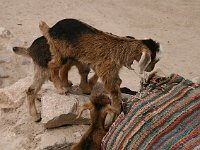 We made a one-day drive from Skoura up through the Valley of Roses, across the piste to the Gorges of the Dades, and then back down to Skoura. 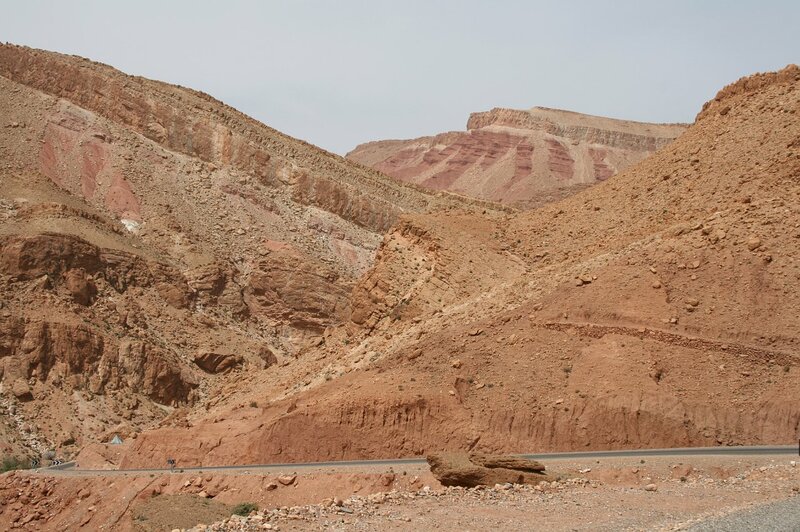 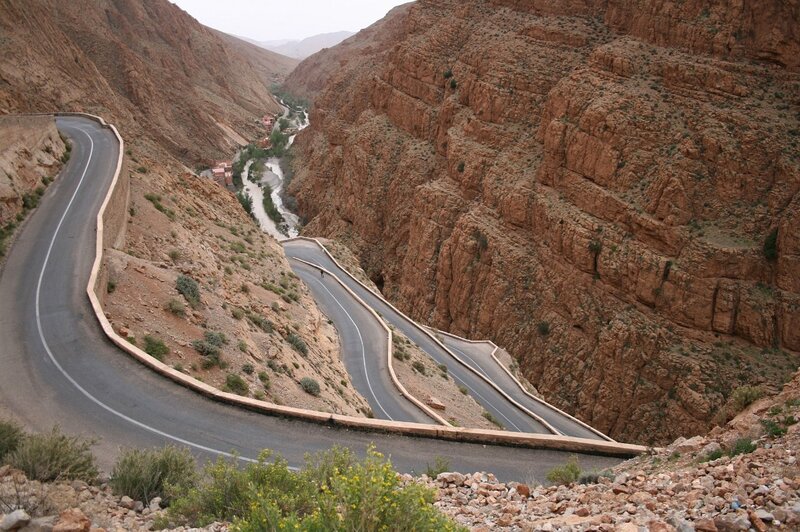 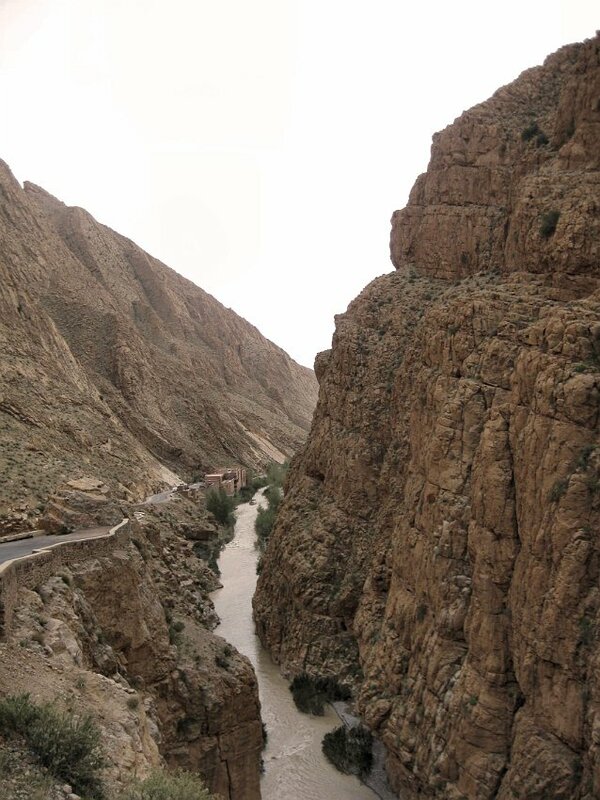 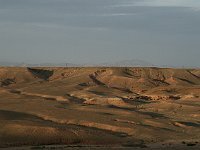 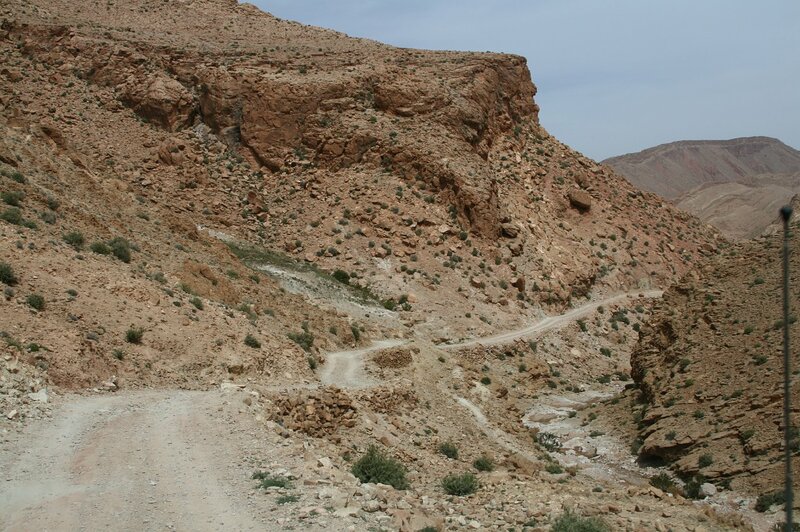 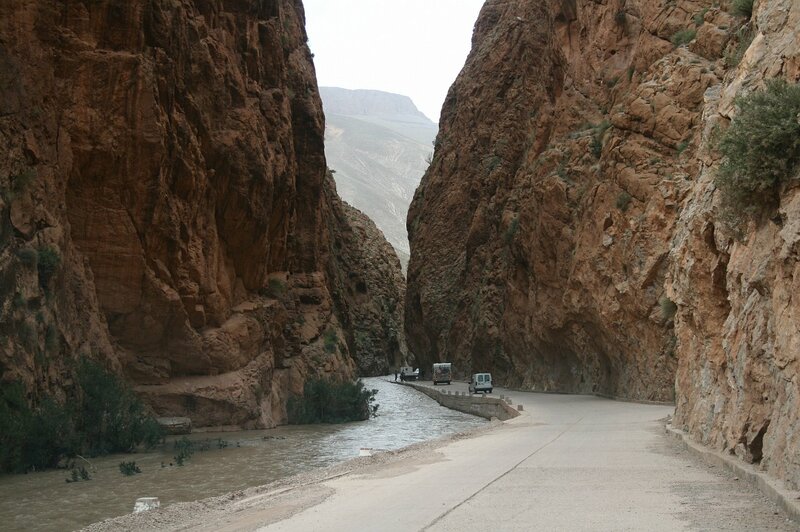 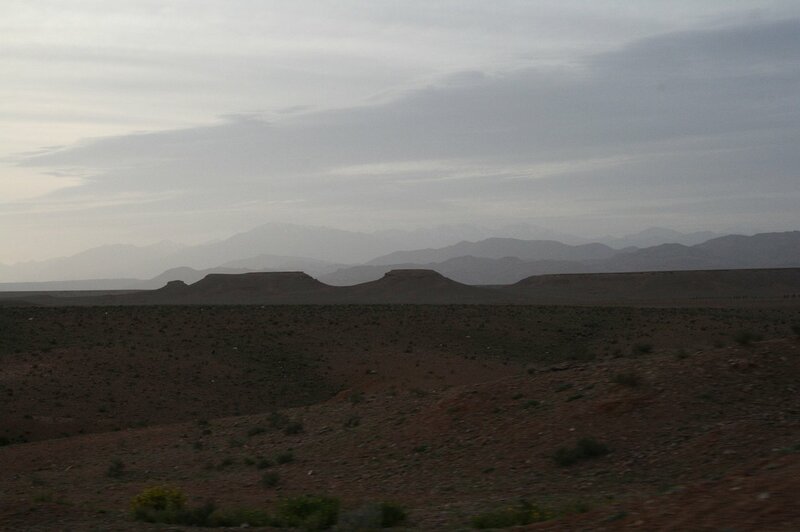 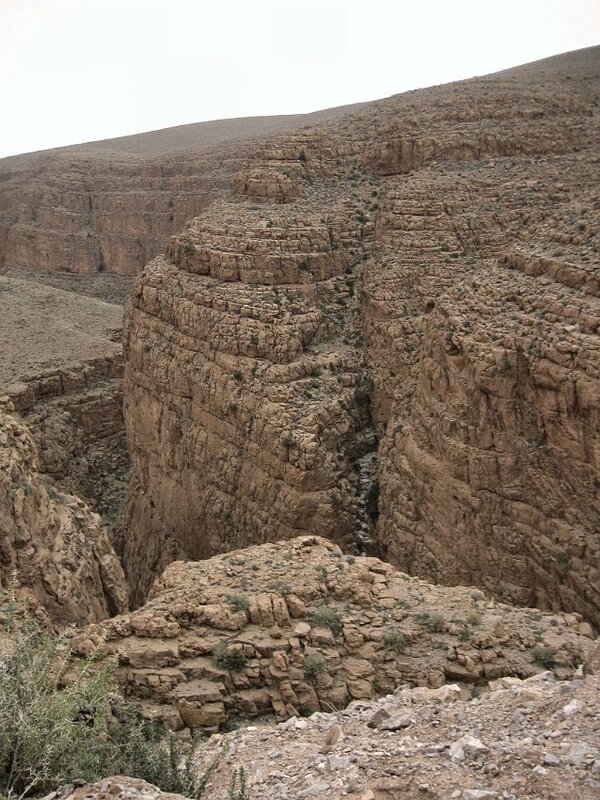 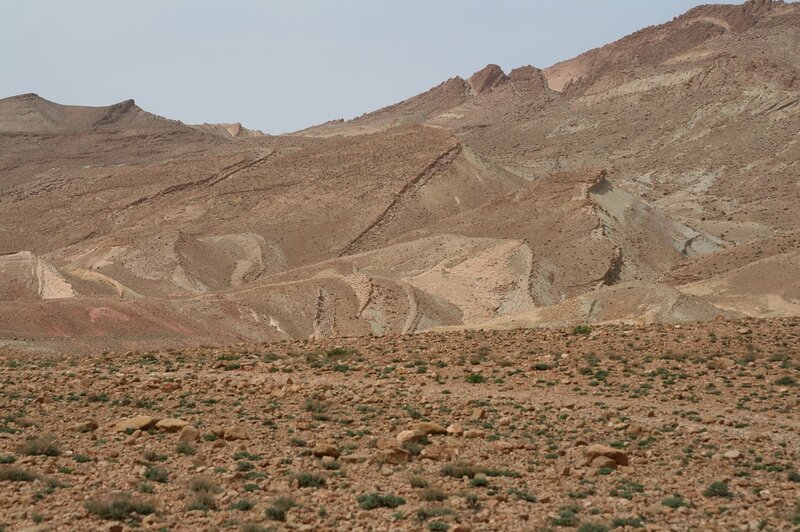 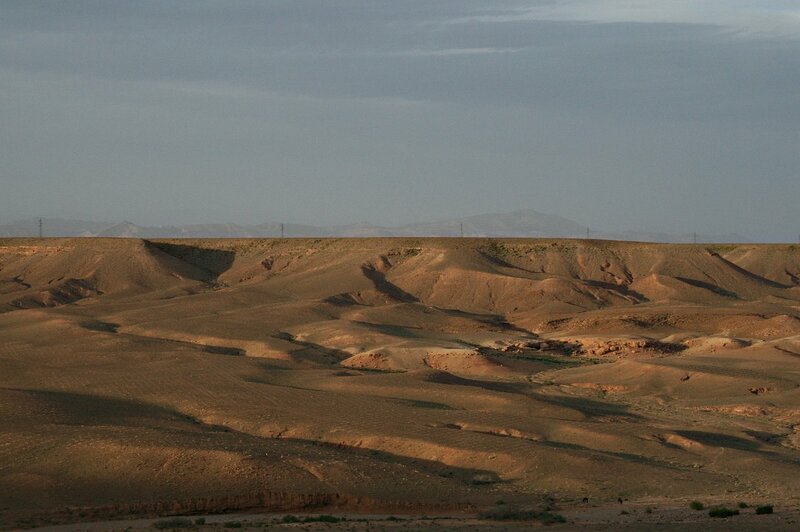 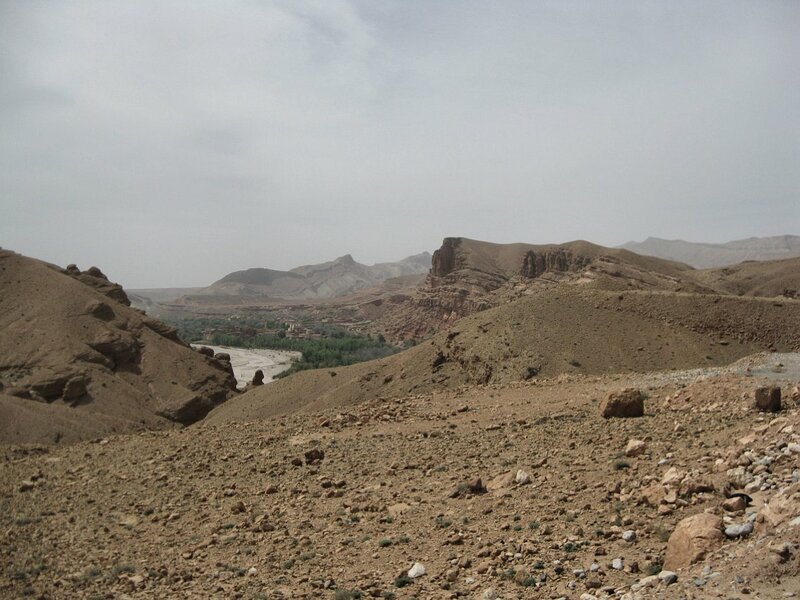 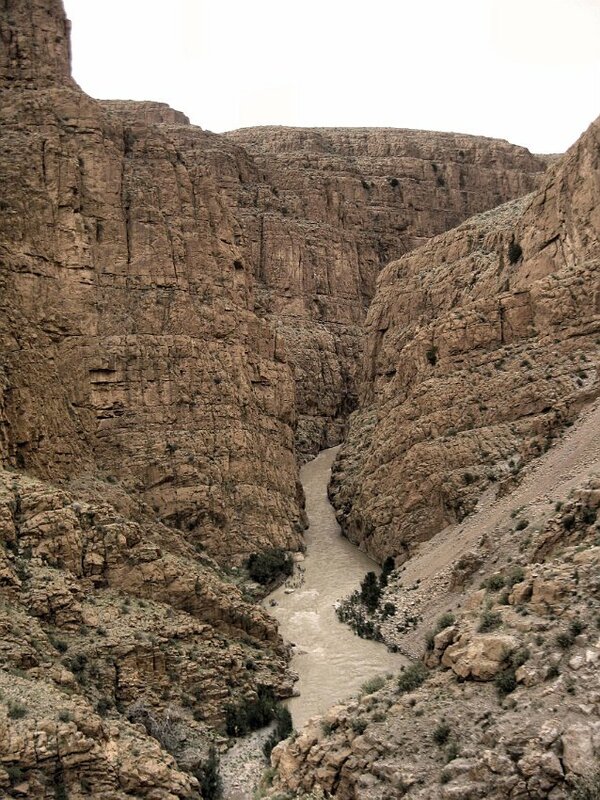 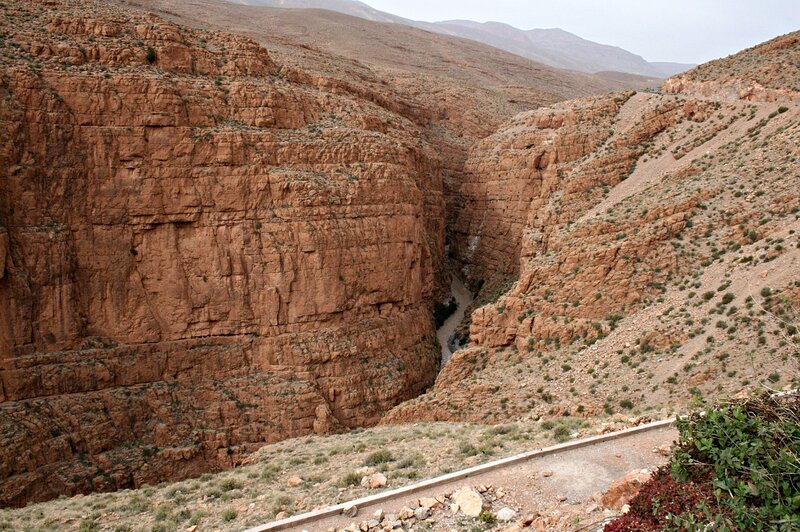 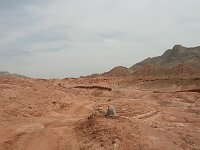 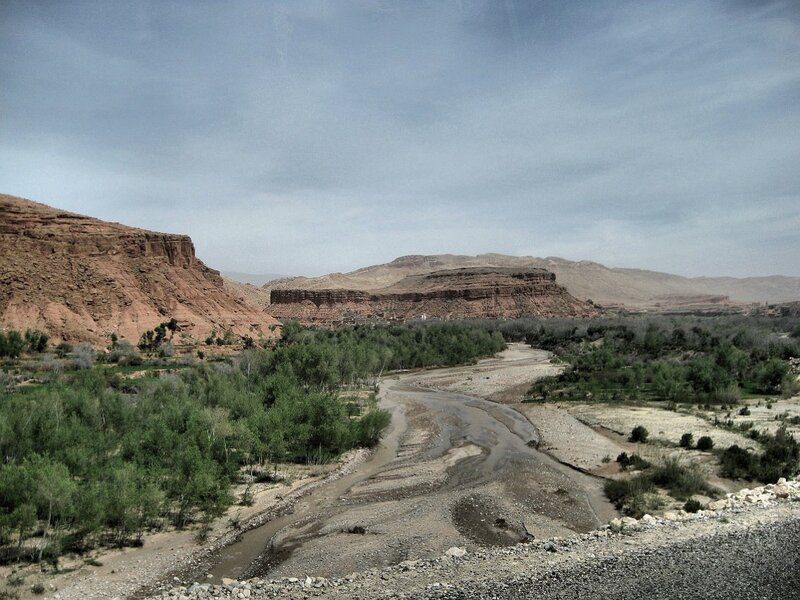 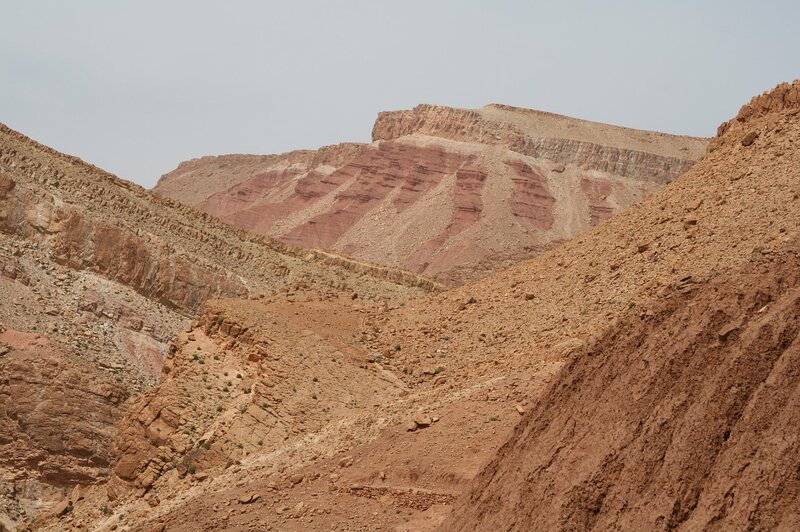 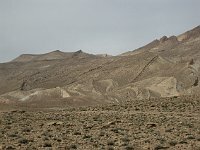 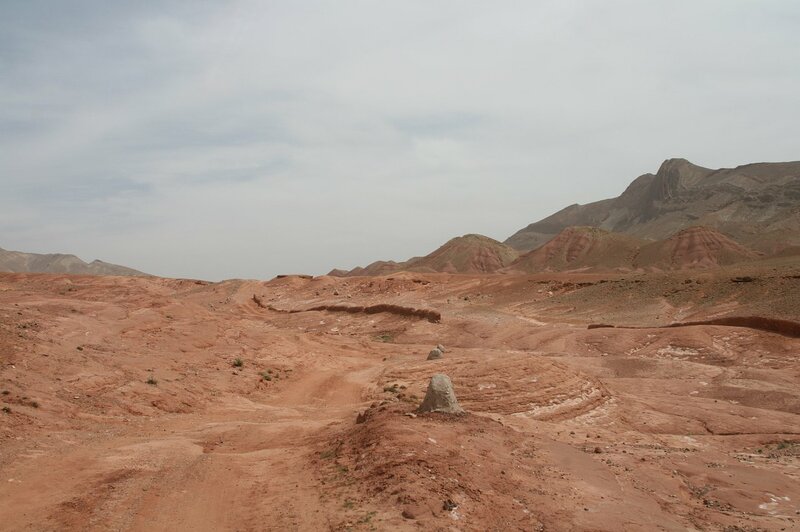 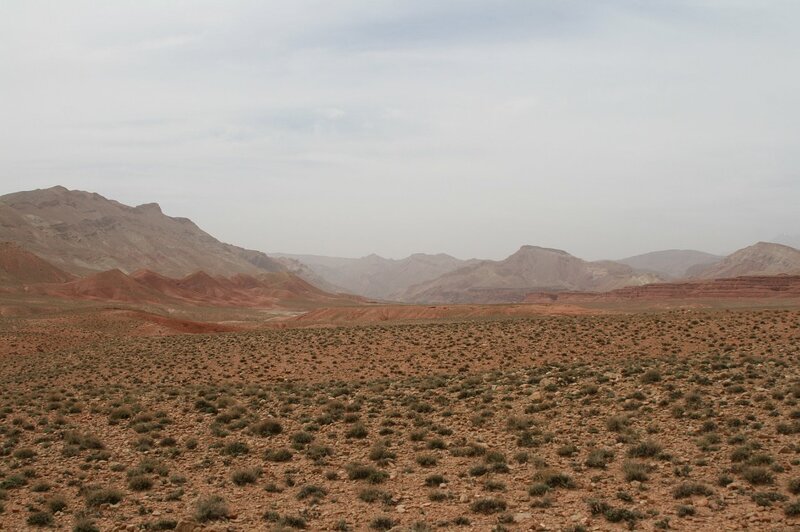 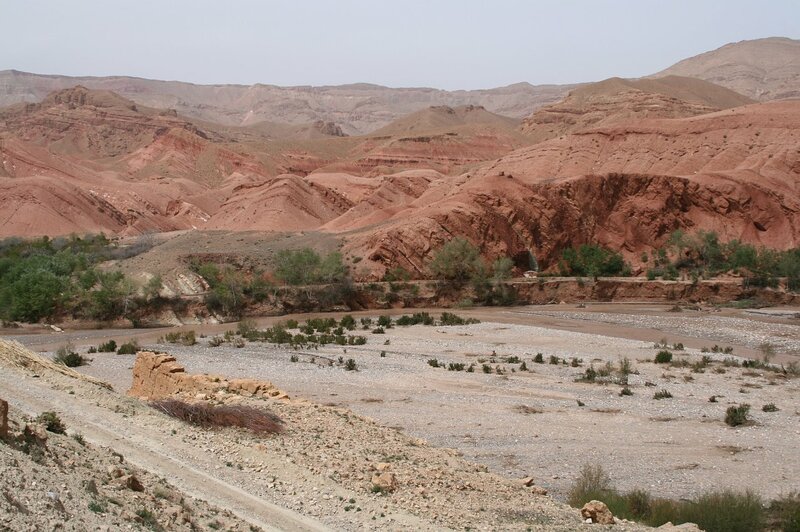 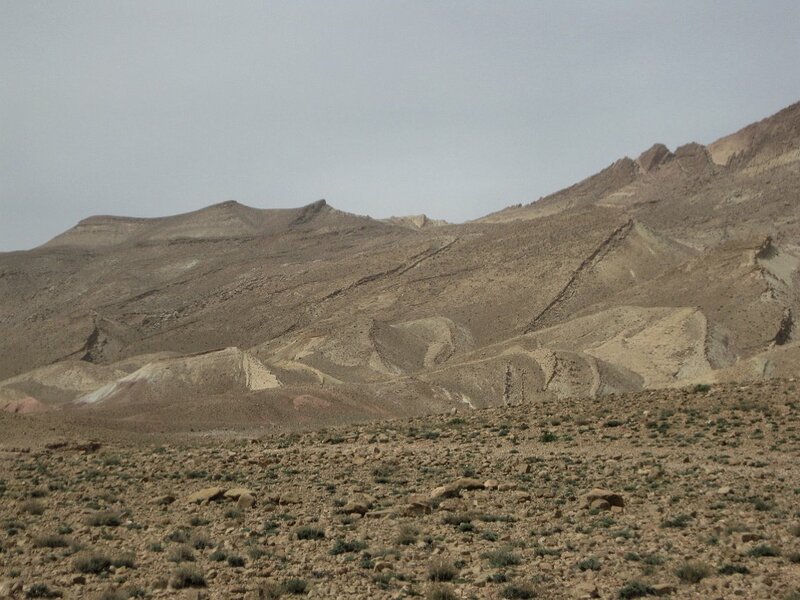 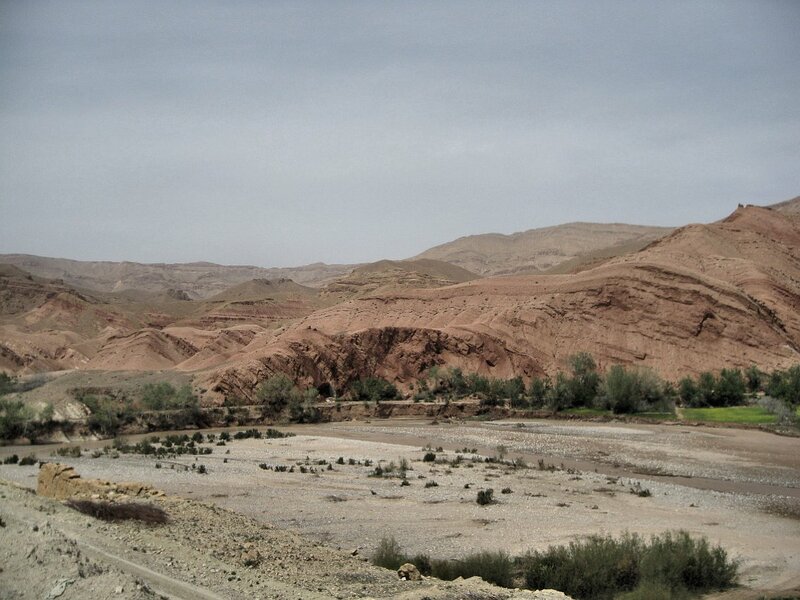 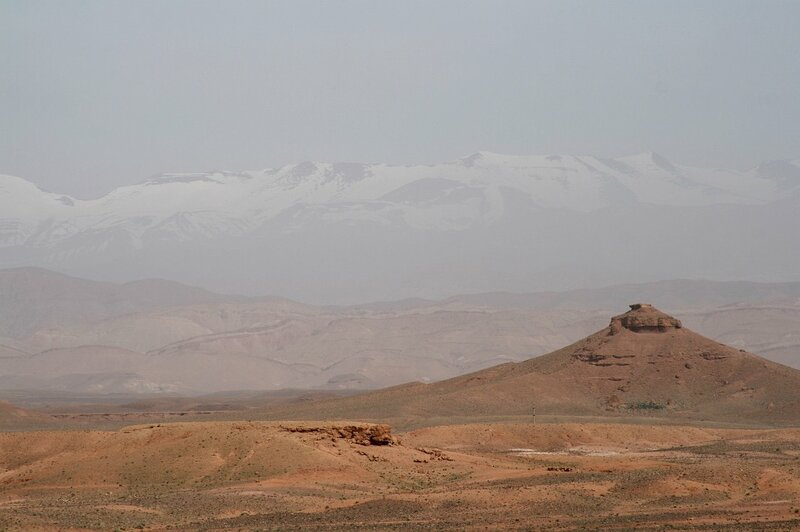 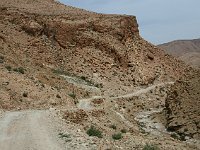 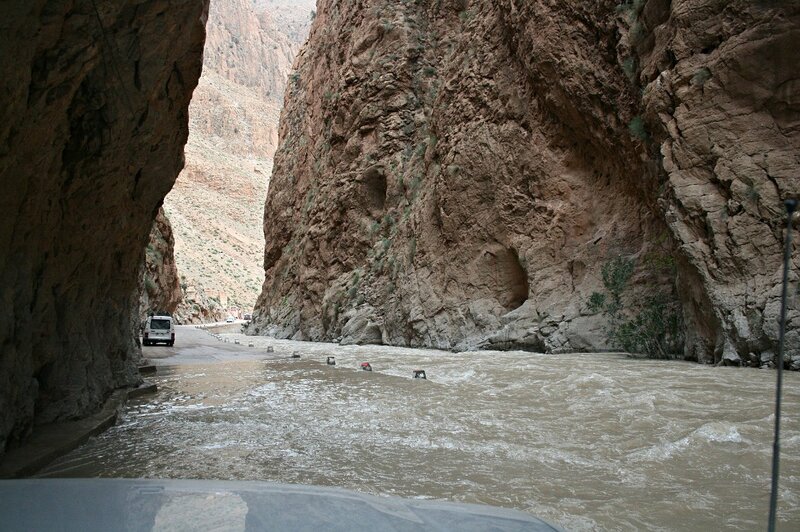 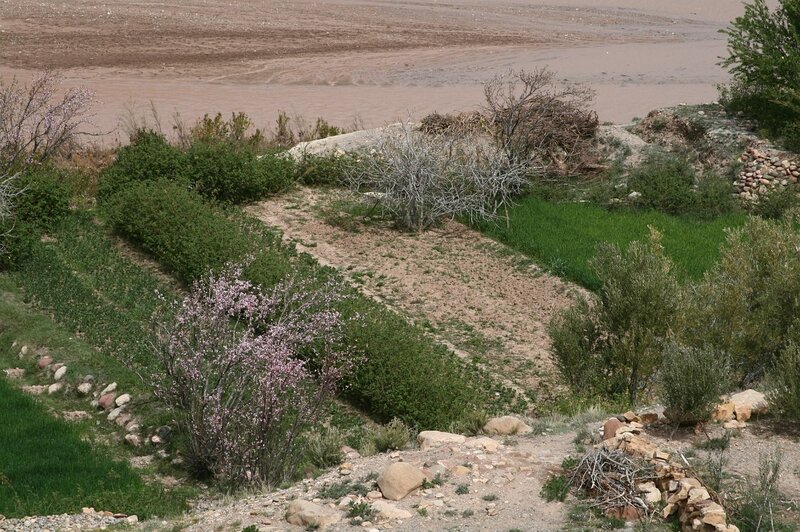 After leaving the pistes, the road ran frequently through narrow chasms and was lined with ruined ksour (plural of ksar, fortified town) and numerous kasbahs. 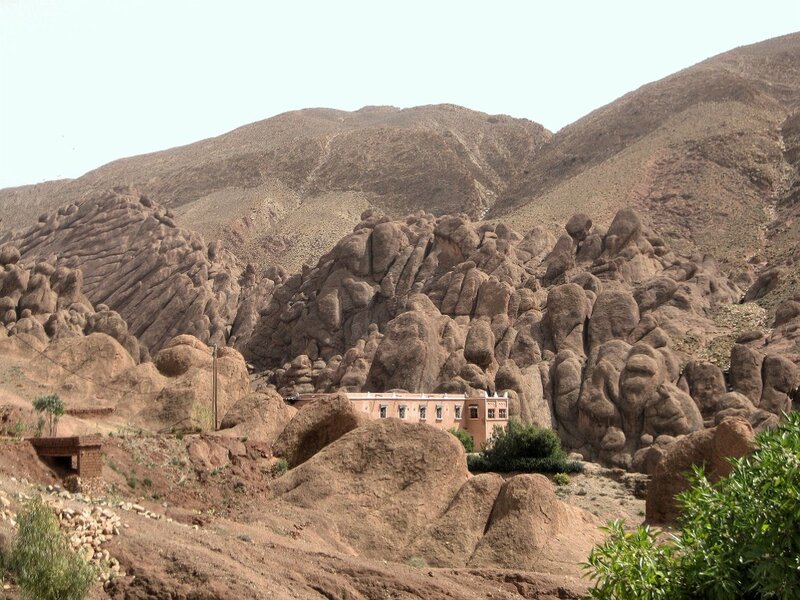 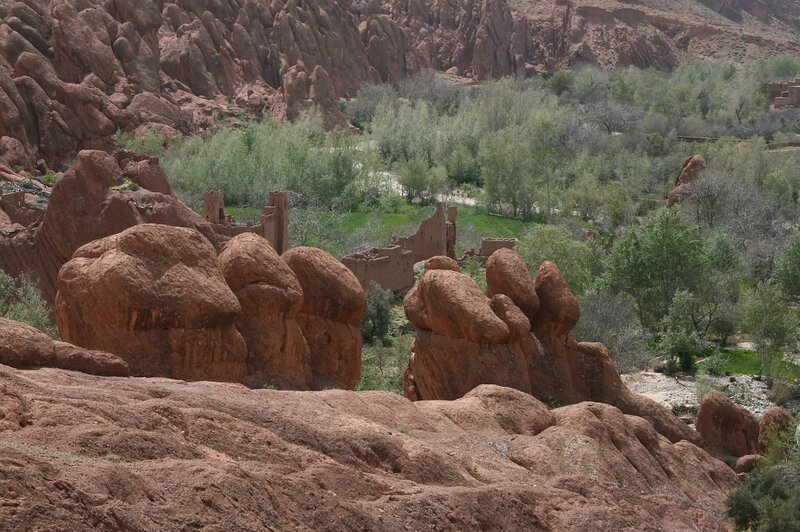 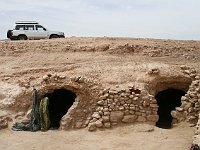 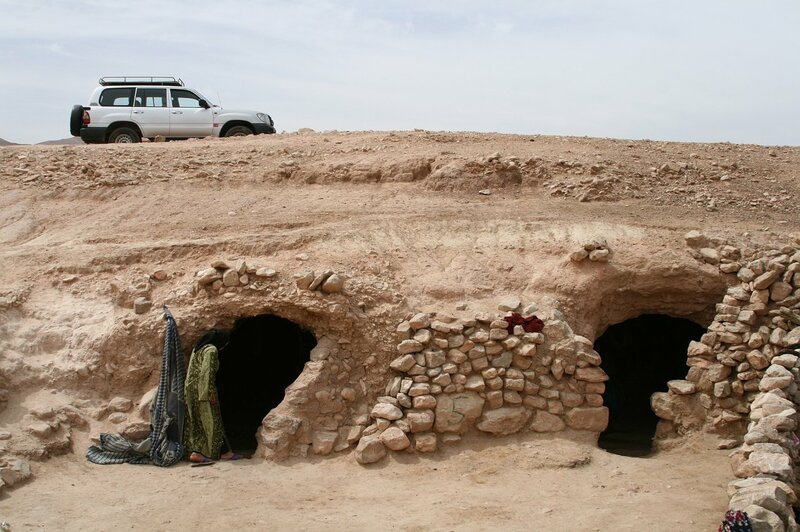 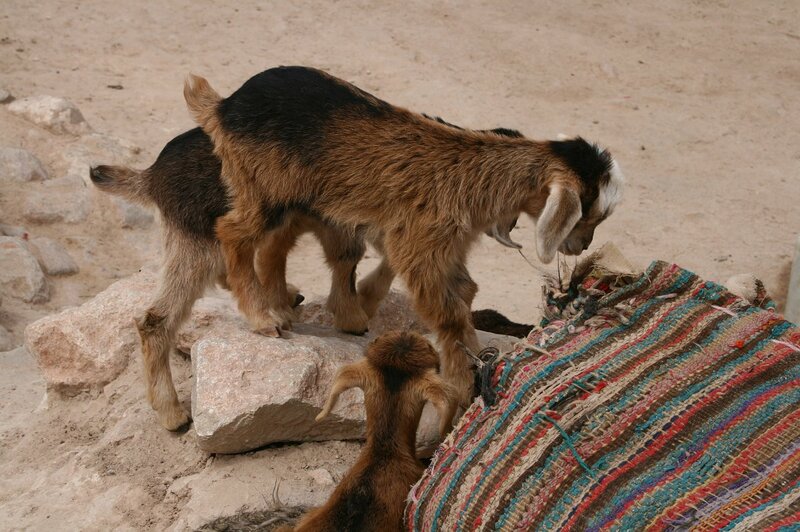 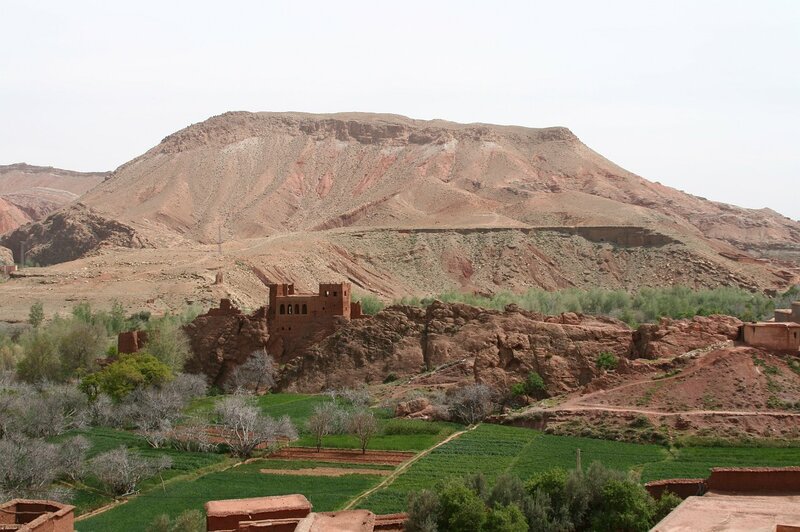 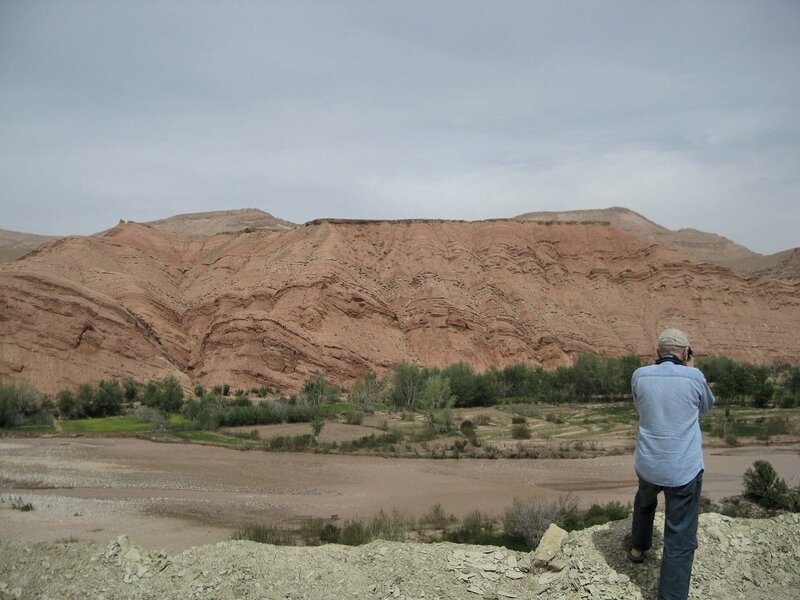 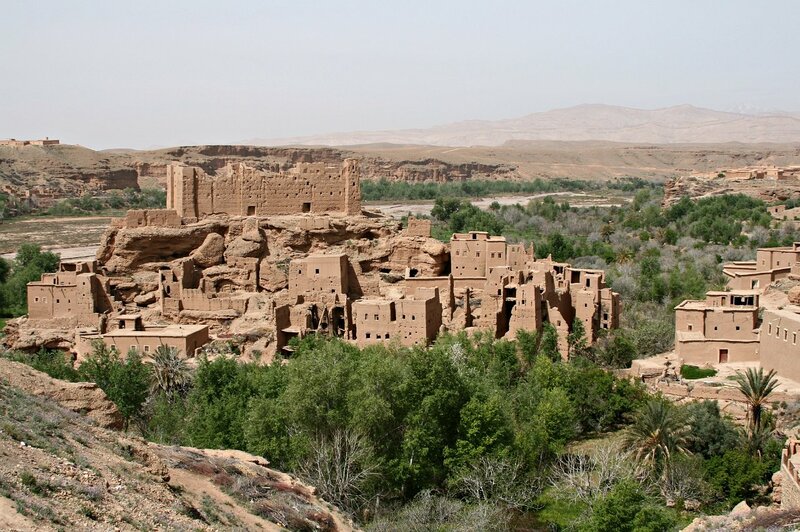 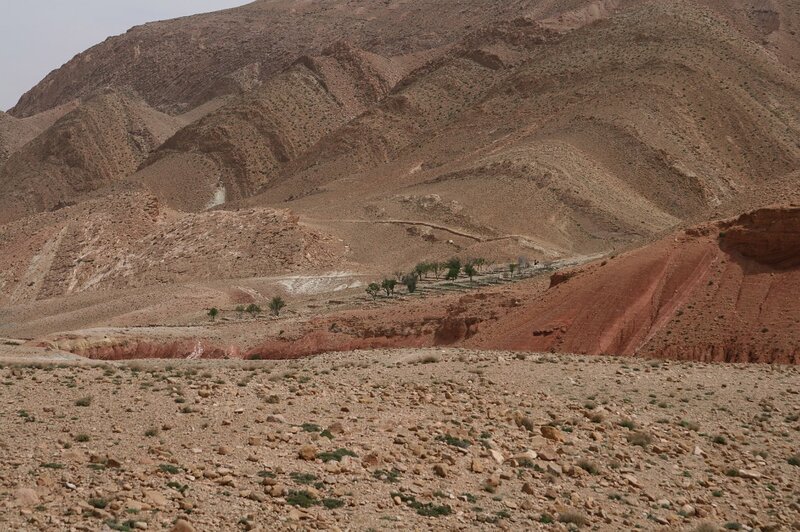 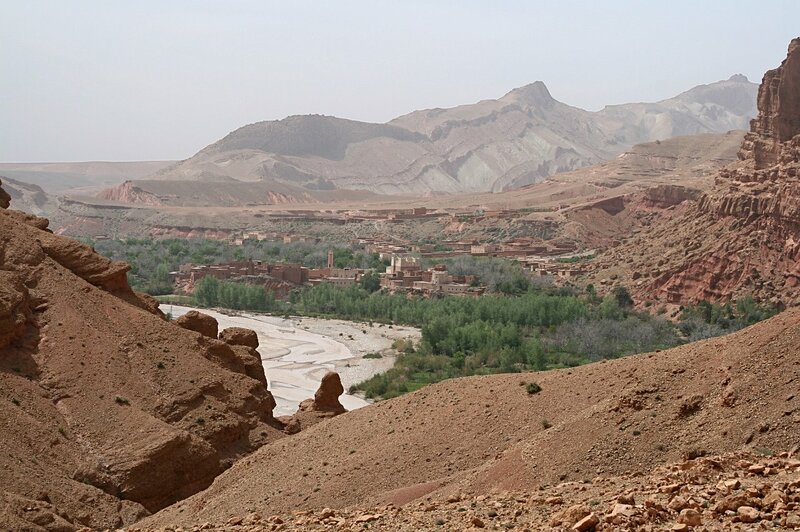 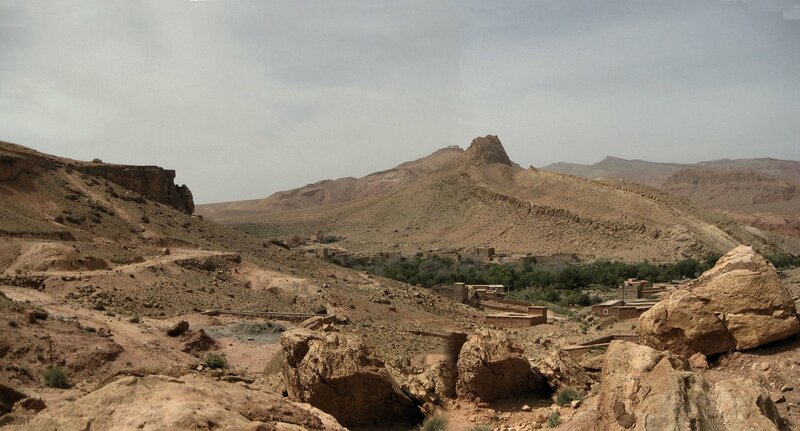 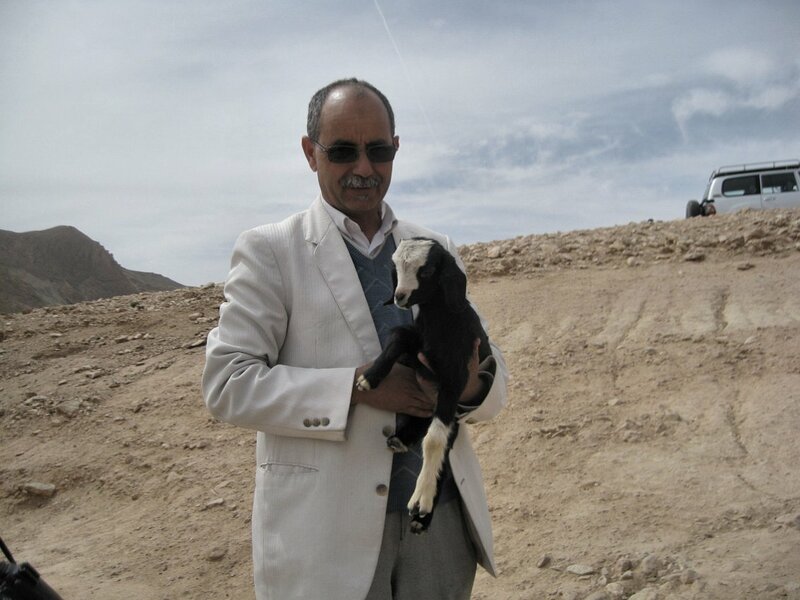 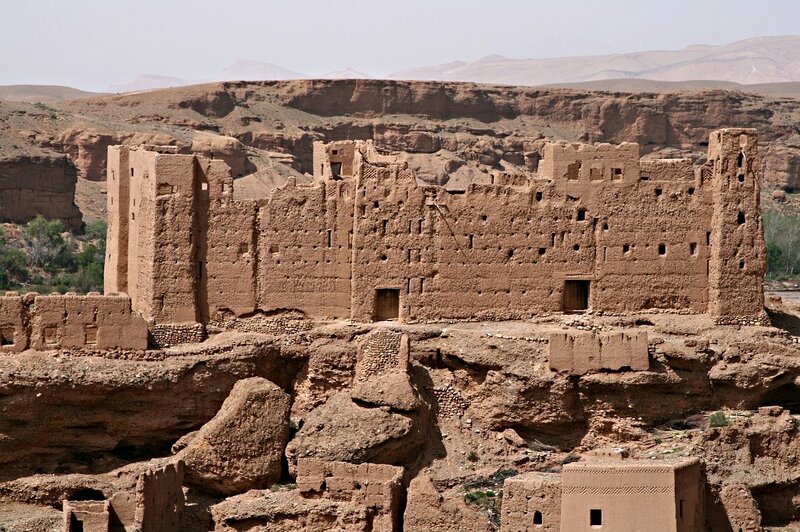 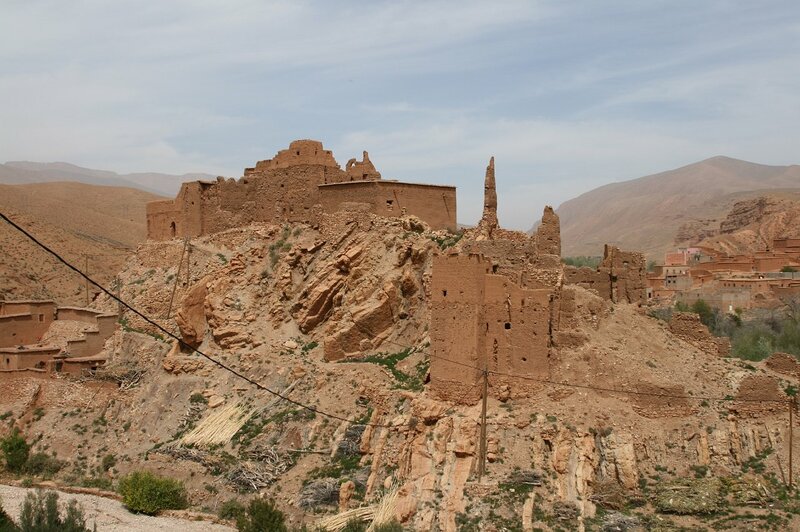 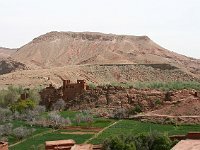 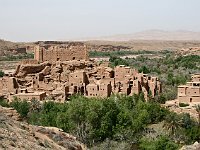 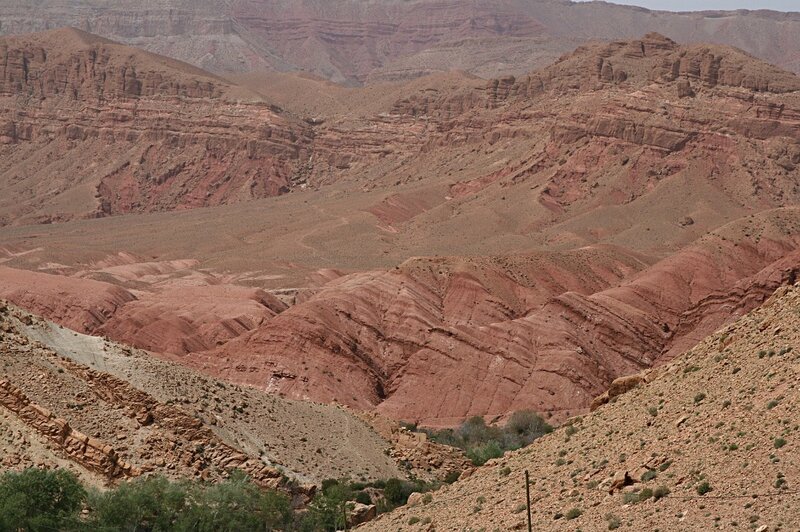 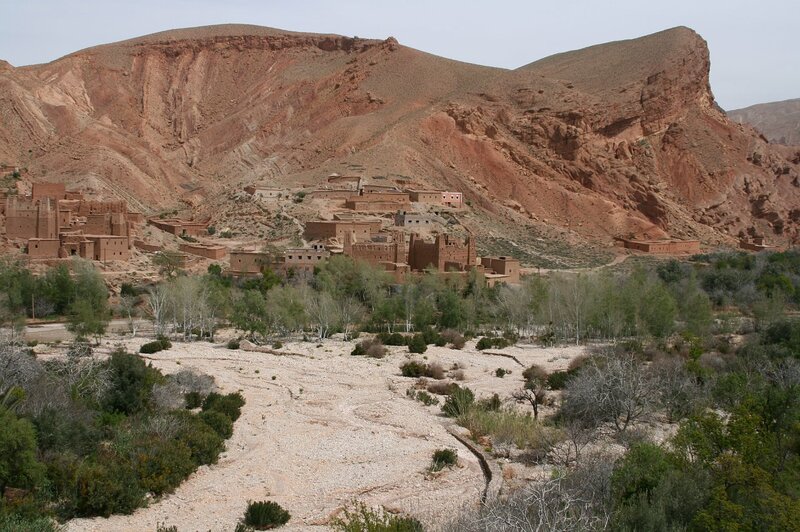 3 Drive through the Dades Valley Ruined hilltop kasbah -- or is it a ksar (fortified city)? 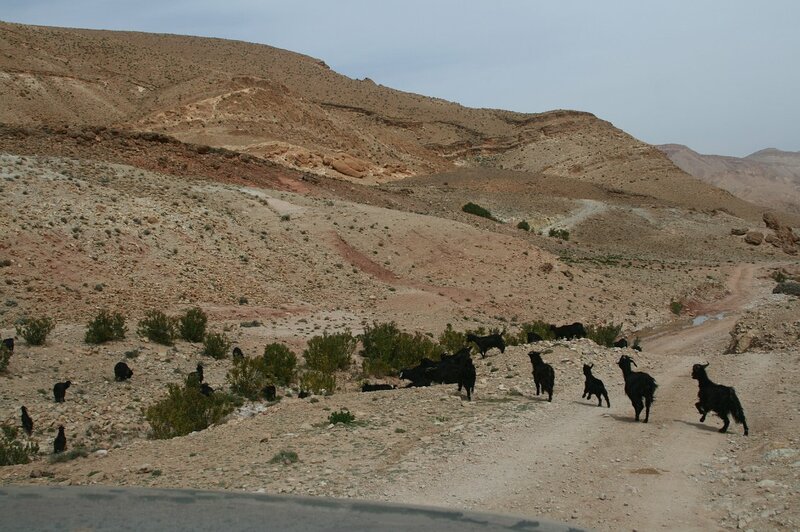 10 Drive through the Dades Valley Colors! 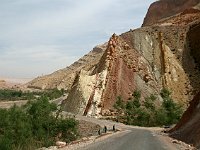 22 Drive through the Dades Valley What colors! 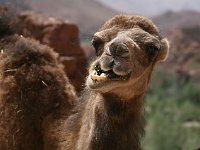 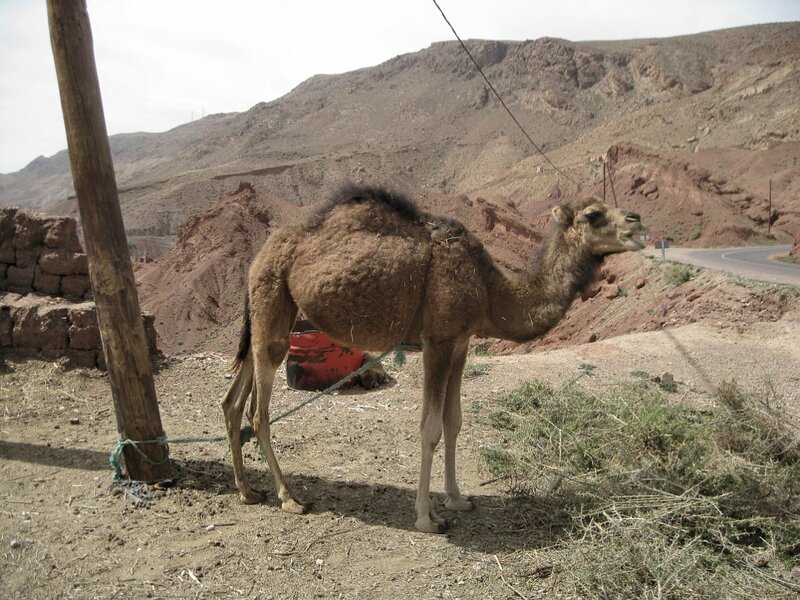 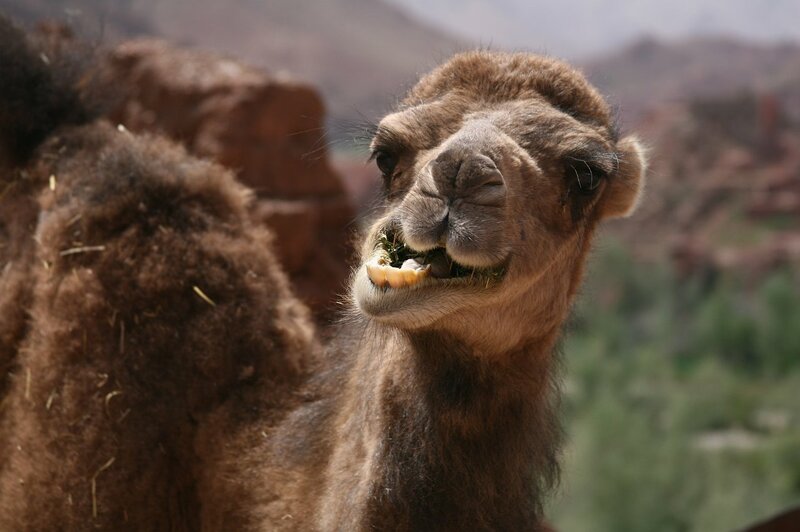 34 Drive through the Dades Valley Camel (goddamit), aka dromedary, but first, camel! 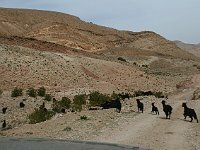 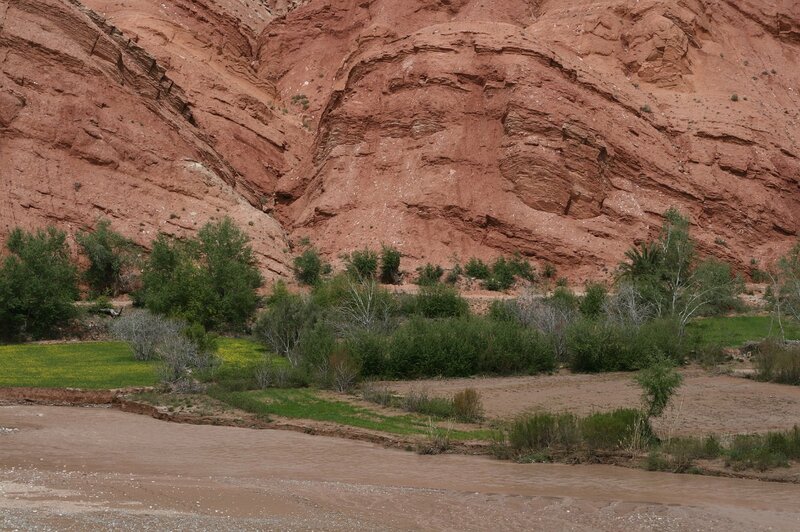 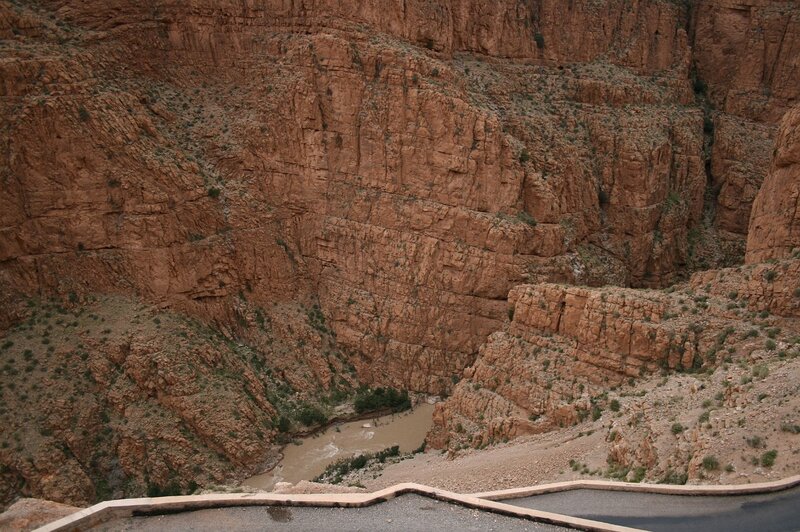 36 Drive through the Dades Valley Eroded by wind?